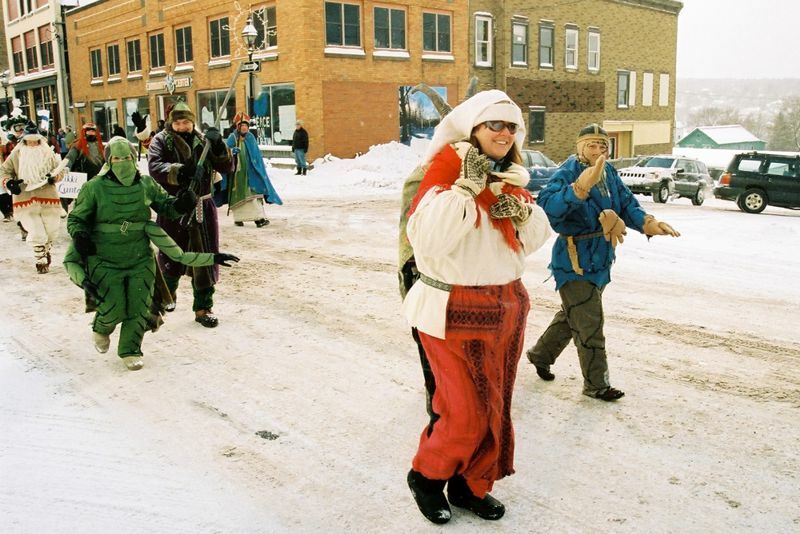 The 11th Annual Heikinpaiva (Mid Winter) Celebration tested the hardiness of the Copper Country Finns (and all others) who braved the cold and frigid weather this year. This year featured dance lessons, a dance Friday evening at the South Range Community Center, performances by the Kivajat Dancers, and evening of food and film at the Calumet Theatre, and two musical events on Saturday, one at MTU's Rosza Center, and one following the Seisovapoyta Banquet at Finlandia University. 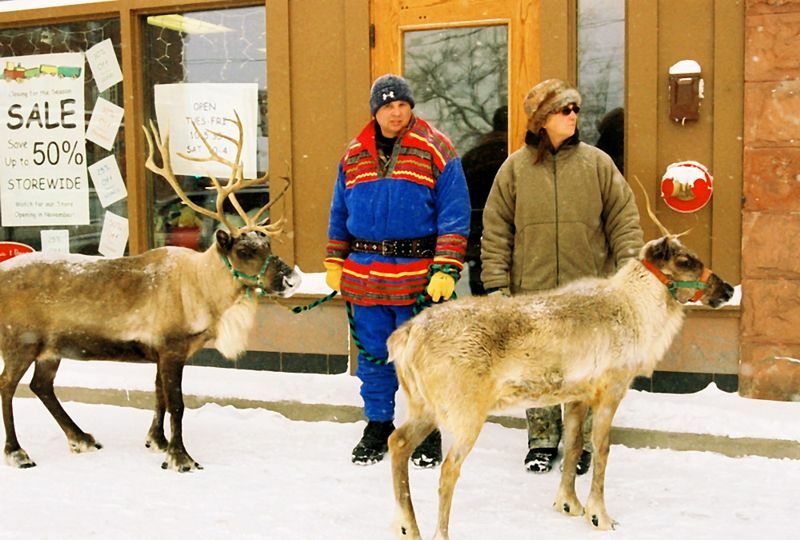 These reindeer and their handlers, waited patiently in the near zero temperatures for the Saturday morning parade to start. 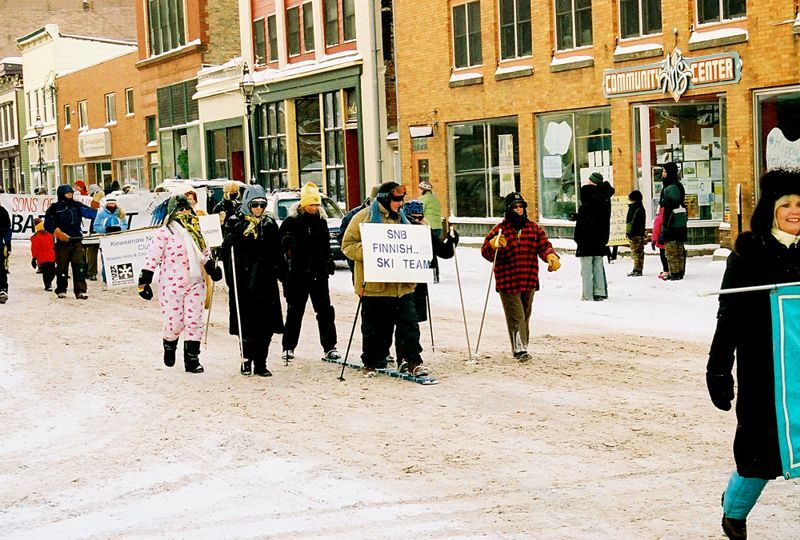 New this year to Heikinpaiva, was the Lumijouksu (Snow Run), which started at the beginning of the Parade, on Quincy St. 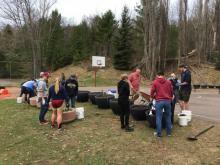 It was hosted by the MTU Women's Track Team, and was a 5K run. 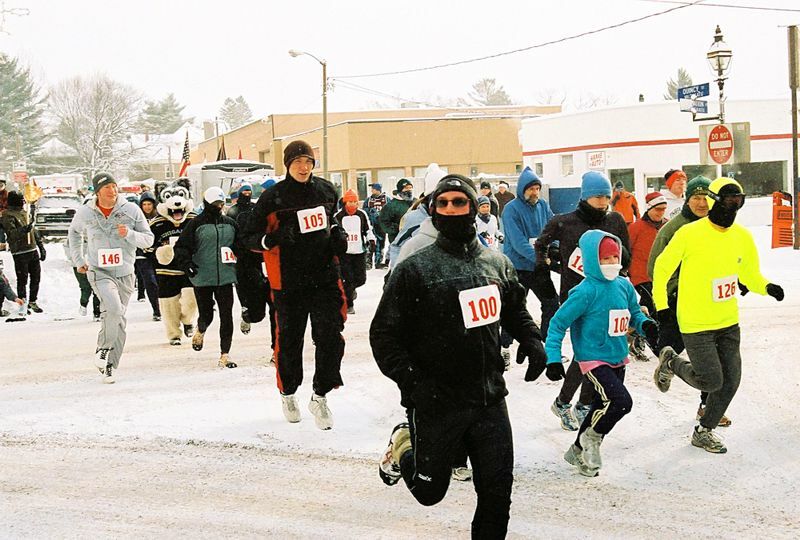 Wind chill temperatures were near 25 below zero at race start. 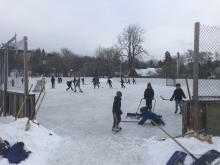 Also held this weekend was the Talvi Tohinat Cross Country Ski Races on the MTU Ski Trails. The Hancock High School ROTC Color Guard unit lead the parade. A number of costumes appeared this year, in most cases, the more the clothing, the more the warmth. 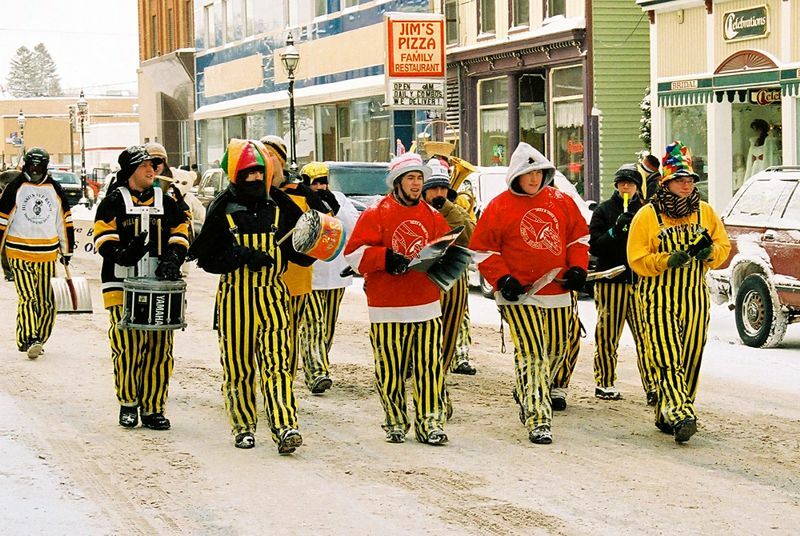 The MTU Pep Band. 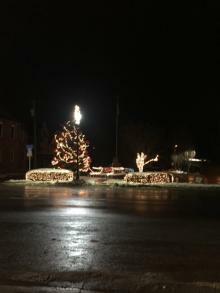 A surprising number braved the frigid conditions, to enjoy Heikinpaiva. 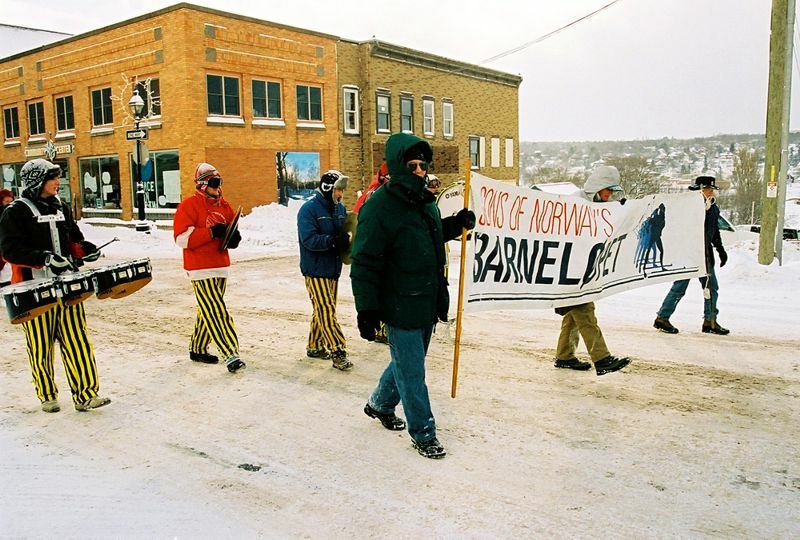 The Superior National Bank Ski Team. The Sons of Norway, and another contingent of the MTU Pep Band. 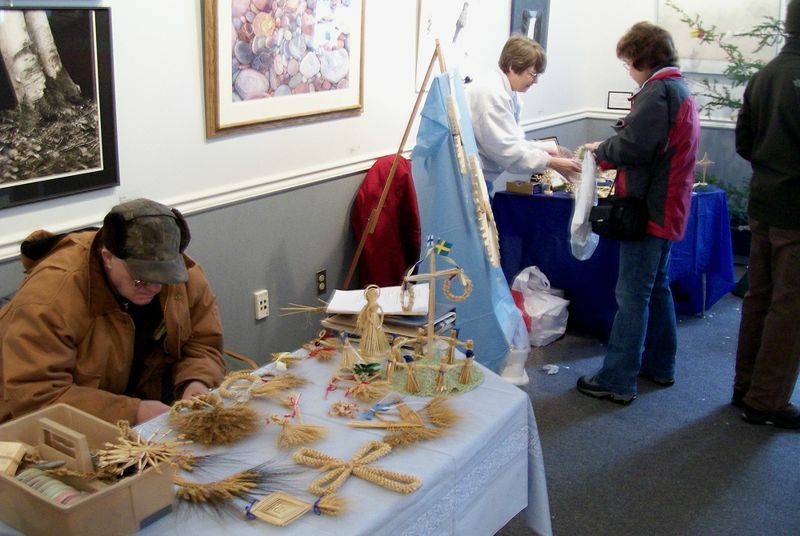 Various arts and crafts were presented at the Heikinpaiva Tori at the Finlandia Univ. Finnish/American Center. 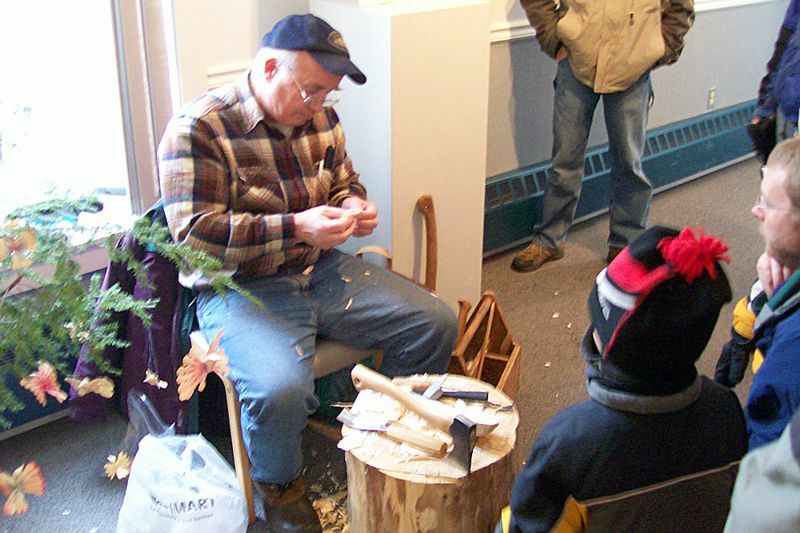 A woodcarver displays his skills for a group wishing to learn the skill. Souvenir sweatshirts were also available. The Tori also is held in the adjacent First United Methodist Church. 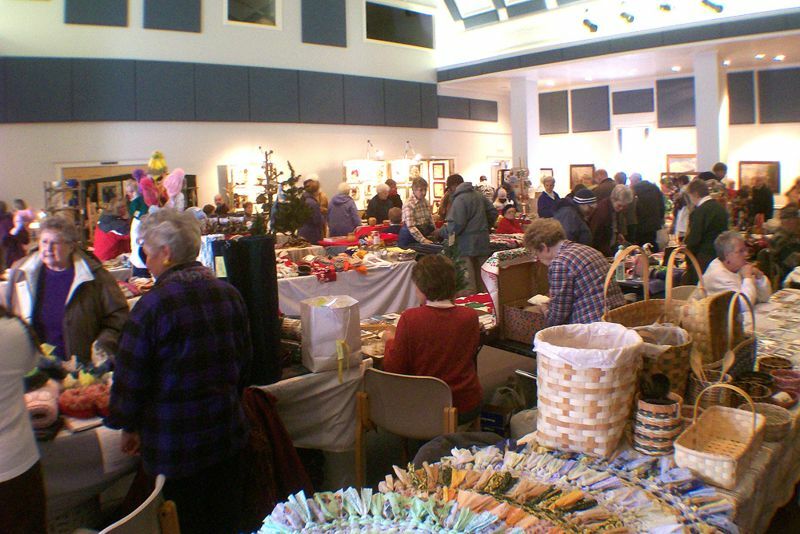 A large number of crafts persons and vendors were on hand in the main hall. 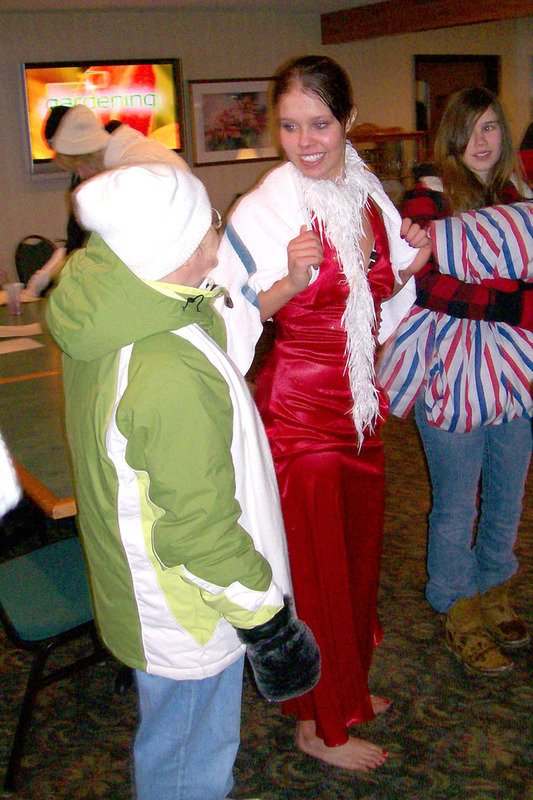 Eagle Radio, acting as Master of Ceremony, talks with one of the well dressed participants of the Parade. 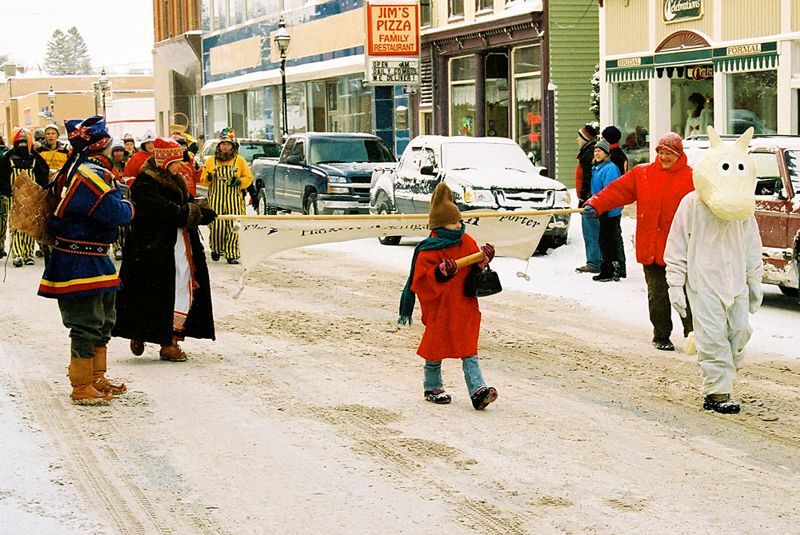 A mother pushes the Finnish vintage sled for her two toddlers. 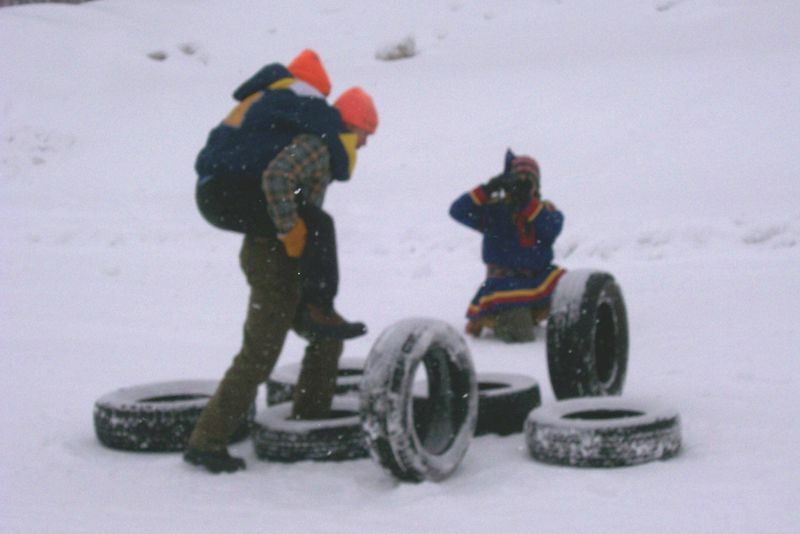 A popular activity, the wife carry, as men attempt to carry their wives or significant others around and through the obstacle course. 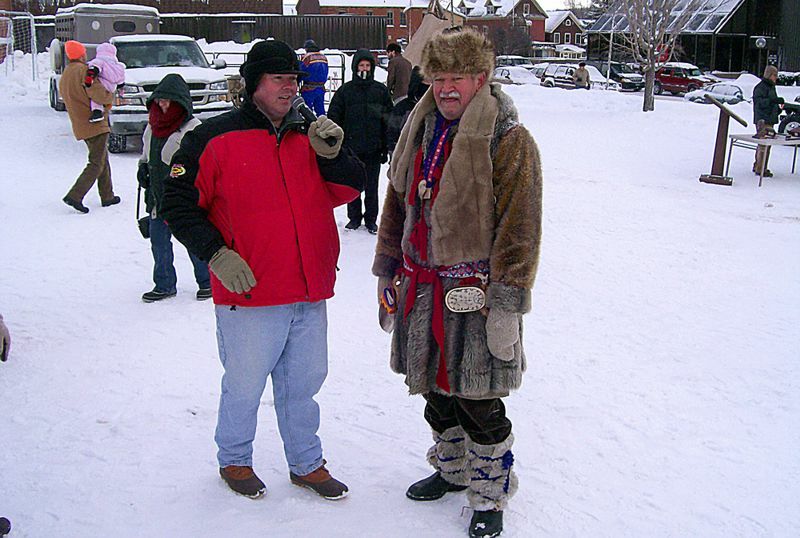 Other events included the whipsled, and boot throwing contests. 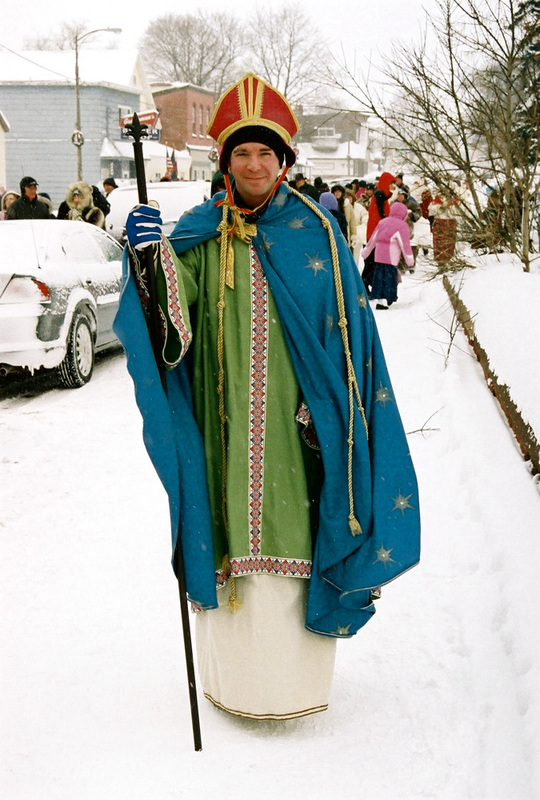 The Hankooki Heikki for 2008, musician Carl Arko (Hancock), in the traditional costume. 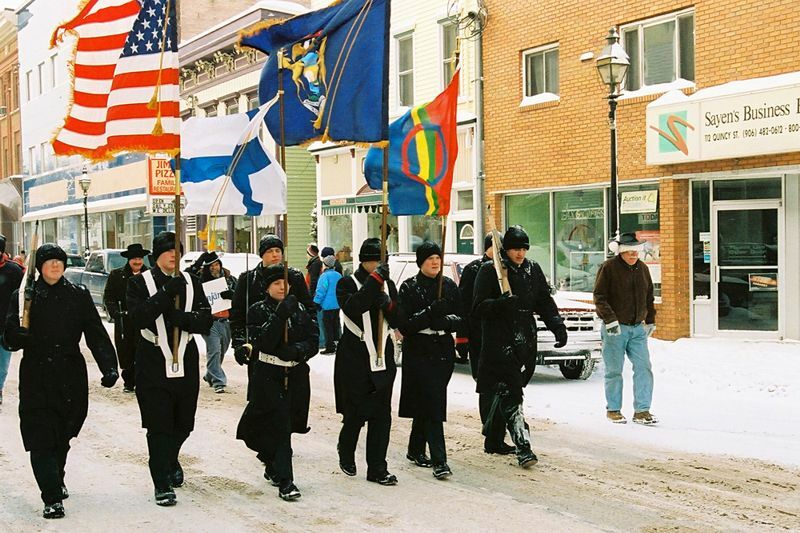 Hankooki Heikki presides over the Celebration events, and is bestowed each year to a person who has made a significant effort in promoting the Finnish culture in the Copper Country.